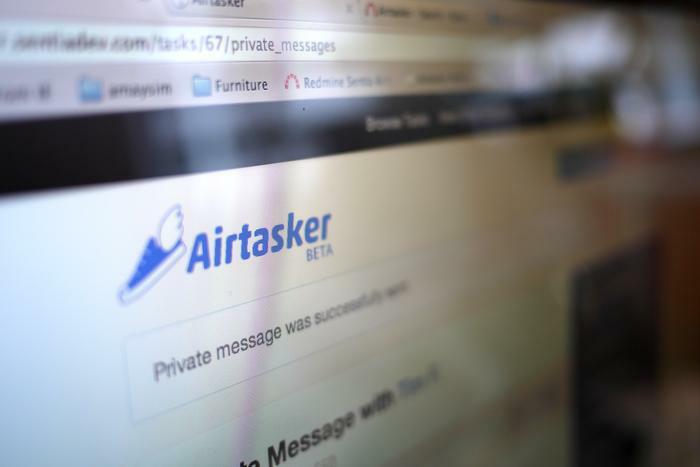 After turning one year old, Sydney's Airtasker is considering expanding its online marketplace for contract jobs overseas, according to co-founders Tim Fung and Jonathan Lui. However, Fung and Lui wants to keep its HQ and said it’s critical Australia promotes an ecosystem that keeps startups Down Under. Airtasker helps people or businesses find workers for a specific task. A “sender” can post a task—deliveries, house cleaning or computer tasks, for example—and then potential “runners” bid for the chance to complete the job. Originally, the founders imagined the service would be used for household chores and other basic tasks, Fung told Techworld Australia. As the site became more popular, “we started realising the definition of task is a lot broader than we initially thought,” he said. For example, some businesses now use Airtasker for complicated jobs requiring runners with technical skills, he said. There are also more quirky tasks posted to the website, said Fung. Recently, one of Airtasker’s senders sought help delivering a dramatic marriage proposal to his fiancée, he said. Fung and Lui launched Airtasker in February 2012 as a spinoff to Australian mobile virtual network operator Amaysim, a startup itself. Fung and Lui pitched the idea to Amaysim and the telco agreed to incubate Airtasker and provide initial funding. The companies still share the same office building in Sydney. In March last year, Airtasker raised another $1.5 million from BridgeLane Capital and other investors and is using that to “drive the business forward,” Fung said. The company followed that by acquiring TaskBox, a smaller rival in Sydney and Melbourne. Airtasker now has 50,000 users and is nearing $100,000 in tasks per month, Fung said. The company takes a 15 per cent cut of the payment for each task. Airtasker will waive the fee in exchange for a post on Facebook promoting the company. The company began in Sydney but has expanded to Melbourne, Brisbane and Perth. So far, the business has found the greatest traction in Sydney and Melbourne, where there are more users and greater exposure to technology, said Lui. Airtasker has mobile apps for Apple iOS and Google Android. There are no plans currently for apps on Windows Phone or BlackBerry. The company is “focusing on mobile Web as our next stage,” Lui said. The next step for Airtasker could be expansion overseas, though Fung and Lui wouldn’t say where specifically. There are some countries where Fung doesn’t think Airtasker would work. For example, while India has a massive population, it’s “a country where there is liquidity in labour already” and a service like Airtasker wouldn’t provide much benefit, he said. Australia’s startup scene has grown dramatically since AirTasker launched last year, said Fung. “In the last 13 or 14 months, we’ve seen five or six co-working spaces open up,” he said. In addition, mentorship group StartMate is expanding and Google has taken a heightened interest in promoting the startup community, he said. Airtasker itself has recently opened a co-working space called Tank Stream labs. The space houses about 16 startups, comprising about 65 people. About six have received funding in the last six months, Fung said. Airtasker plans to participate in Google’s startup group, #startupAUS, which is currently under development, said Fung. “It’s absolutely the right direction because one of the biggest pieces that Australia misses … is good relationships between startups and the big boys” like Google and other major corporations, he said. While early stage funding can be found in Australia, it’s still difficult for companies to raise the money they need to expand, said Lui. That has driven some startups overseas where money is easier to come by, he said. Fung agreed that a major problem for Australia is “maintaining talent". If you’ve got a startup or know about a cool new Australian business, please email Adam Bender at adam_bender@idg.com.au or on Twitter (@WatchAdam).